There’s no denying that when it comes to cute baby clothes, you cannot get much better than Disney. It’s like the brand captures our hearts from a very young age, which is then passed on from generation to generation. 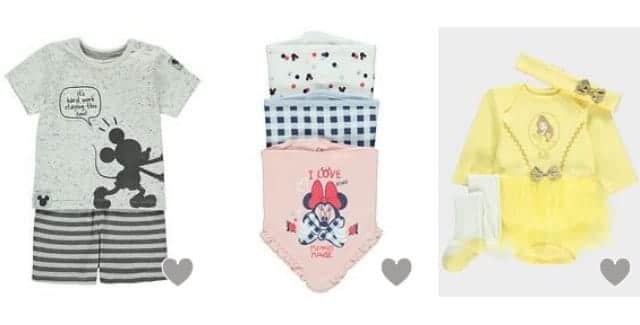 There are always new Disney baby clothing being released from some of our favourite characters, such as Minnie and Mickey Mouse, Winnie the Pooh, Tinkerbell, Snow White to name but a few. The good thing about this is that there’s no shortage of where to buy these character clothes for babies and toddlers, and one retailer that seems to keep releasing new Disney Clothing is Asda, and they tend to have some pretty decent sales on these items from time to time as well. A quick visit on their website shows that there is a decent selection of Disney Clothes at Asda, which we have sorted by newest in. This way you know that you are getting the latest Disney baby clothing being sold by the big UK retailer. We would suggest that when you see a new item of Disney Baby or Toddler Clothing come in at Asda, you might not want to leave it too long, as they do tend to sell out fast. View the Latest Disney Baby Clothes at Asda.